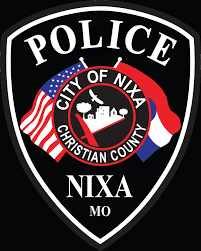 Nixa is a progressive, growing pro-business community. We believe Strong Business + Strong Schools = Strong Community. One look at Nixa and it's easy to see why people from all over the United States decide to call Nixa their new home. Time’s Money Magazine has named Nixa as one of the “Seven Best Places to Retire” and No. 97 on Money’s “Top 100 Places to Live in America” offering a “healthy economy, affordable homes and a high quality of life.” We invite you to take some time to explore our site and find out more about Nixa, the only one in the world! NiXa Marks the Spot...to Live, Learn, Work, Shop & Play! Nixa is a city that is booming with energy & excitement. Need help planning your visit? Check out our directory, list of events, or contact us to get ideas and start planning! Stay up to date with the chamber by following us on social media!